Not Verified | A former convenient airport that you should avoid now because it’s overcrowded and poorly managed. Unacceptable long lines for security control that start at the top of the escalator, creating a dangerous queuing area. After spending 30 minutes in the security control, get ready to queue up for 15 minutes for passport control, for Shenghen countries too!, and rush to the gate before it’s closed. 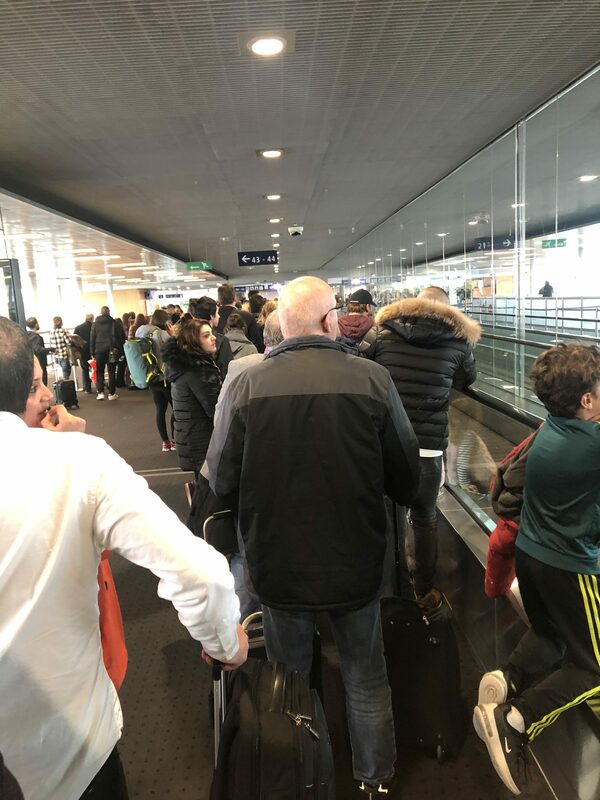 The airport is not dimensioned for the ever increasing number of easyjet flights that have made Basel a nightmare airport. Calculate with at least 90 minutes for outgoing flights, 2 hours if you check in your luggage. 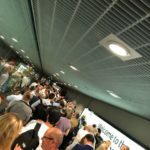 Not Verified | Singularly, the worst Airport experience I have encountered. Rude staff, barely understood English, appalling customer care. I would suggest putting people who care about Customer care on the front desk. "allow plenty of time outgoing"
✅ Trip Verified | This previously-delightful airport is starting to show signs of suffering from both popularity with certain airlines and from the administration required by handling Schengen and non-Schengen passports. I would simply say, please allow plenty of time outgoing, because some flights from the finger-dock going to Schengen countries - such as my flight to Santiago de Compostela, which last time I looked at an atlas was still in Spain - still require you to pass through a supplementary passport control, and if there are flights to non-Schengen destinations such as the UK or Turkey also leaving around the same time as your flight, you'll find yourself in a queue. On my return, despite being bussed from the aircraft - hoping my ultimate destination would be the baggage hall as happened on my previous flight from Amsterdam - we were deposited in the now-famous long corridor to undergo a passport check before emerging into the baggage hall. Please take the warning sign about the 'last toilets' seriously! You could be waiting there for a half hour or more, and the corridor on my last two occasions has had no working travelators to avoid at crush at the arrival point, so be prepared to walk - or carry your little ones or your granny! The officials today at the passport control (early afternoon) were working briskly and efficiently, but with Brexit waving in the wind, this could all change. Incidentally there is a notice reminding you to show passports OR identity documents and RIGHT OF RESIDENCE forms, so IF Brexit means that a UK national can only spend 90 days out of 180 in a Schengen country, and you actually live in that country, it may not be in your interest if your passport is stamped with an entry date .... in which case it might be a good idea to travel with your right to live in an EU country and present this before you offer your passport! But at the time of writing, who knows what the future will hold and when any changes might apply from ... and what they will be. But forewarned is forearmed. Not Verified | Basel airport was very clean. The prices in the airport are a bit expensive but it is a fair price. The airport isn't too big and it is easy to find the gate. ✅ Trip Verified | Awful experience in a dismal tunnel trying to get through passport control on arrival. Took over 30 minutes from back of queue to control with lots of families fighting bored/upset children. So long the baggage carrousel had been stopped by the time I collected my bag. Missed a bus, so missed train connection, so a half hour delay turned into a 60 minute delay at destination. Arrived at same airport in August 2018 with family and same experience. They really need to sort this out so business and leisure travellers can pass through quickly. GVA and ZRH both way better. "has now become the worst"
Not Verified | Fully support all of the other reviews on this forum. 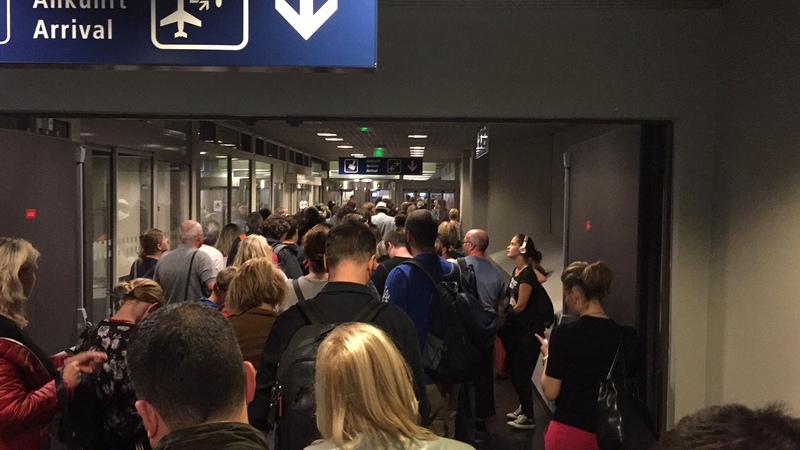 What was one of the most efficient and user-friendly airports in Europe, has now become the worst. Clearly whomever was in charge of creating the layout and running of it has never travelled to another airport in their lives. For example, not many airports have actual officers checking and scanning passports any more because they create e-gates. And by the lengths of the queues both in and out of BSL at passport control, it’s clear that not many officers want to do that job! Whether you’re a regular business traveler or one-time tourist, you will be left stunned by the negative and appalling experience. ✅ Trip Verified | Completely unacceptable waiting time for passport control upon arrival. 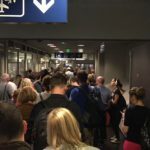 What used to be a convenient and efficient airport to navigate through has become an awful experience for travelers flying into Basel. Long lines for passport control with most cabins empty and not enough officers to perform their duties, one or two at most and very unfriendly. Not Verified | I have used Basel for over 5 years. In the last 18 months it has undergone a dramatic decline. It used to be clean, efficient, fast and really excellent for business travel. Now it’s an absolute shambles - dirty and tired facilities, surly staff and the new passport control - both leaving and departing - are absolutely abysmal. 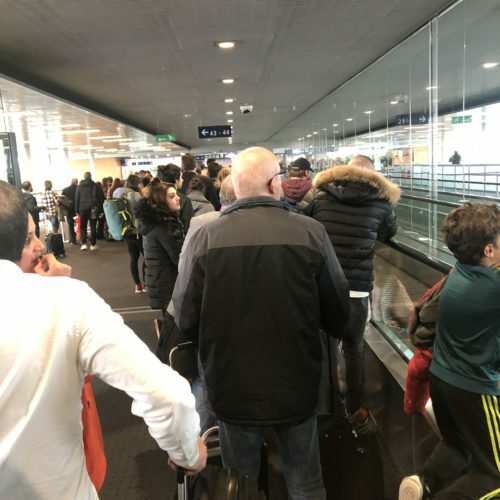 Huge lines, inappropriately small numbers of immigration officers for the number of passengers and hardly any airport staff maintaining order or supporting parents with small children or elderly or disabled people. I am going to follow a number of colleagues and use ZRH preferentially. It’s a disgrace to CH, DE and FR and a bad reflection on Europe to call it Euro-airport. Families with babies walking down slippery concrete stairs because lifts are out of order, dangerously crowded lines, and closed “airlock” doors trapping people. The whole place is starting to feel very dangerous. "nothing short of an absolute disgrace"
✅ Trip Verified | We arrived for our flight an hour and 20 mins before departure at 13.15. We joined the already busy queue for security thinking we had plenty of time . We spent 60 minutes in the queue. 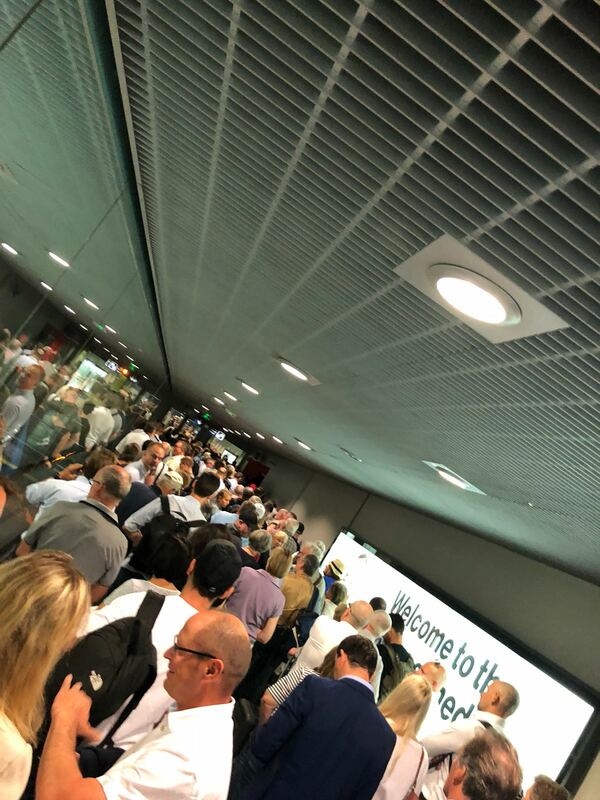 Only two security lines open, an absolute disgrace which considering the snail pace advancement of the queue proves major incompetency and inefficiency on the management of this airport. I will not use Basel airport again. People were in the long queue, stressed out, no explanation for the slowness, eventually a third security line opened up but still the proceeding was slow. In this day and age this is nothing short of an absolute disgrace , I’m sure many people missed their flights because of this. So my advice is stay clear of Basel airport, it’s a joke. ✅ Trip Verified | Quite a lot of 'rearrangement' has taken place since my last visit, some of which I was aware of from reading Skytrax reviews. Leaving Basel for a non-Schengen destination, there is a larger passport control area just before the departures areas split for the fingerdocks, with lanes to queue in. If your flight departs from Gates 20-21 you should turn right after the passport check to access your gate - these had previously been French side gates. On return, the some of the criticisms raised by travellers have been addressed. On arriving into the lower level corridor, there are now yellow multilingual signs advising passengers where the final toilets before passport control are (ie at the start of the corridor) and further signs to inform passengers that there are no toilets beyond this point. On the day I travelled, the travellators were not working, possibly to avoid a crush where they and the regular walking channel converged. 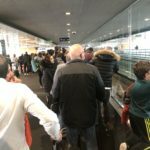 On reaching an area closer to passport control, there are roped off 'channels' to control the number of people converging on the passport control booths. These worked well as our flight was the only one arriving at that particular time from London Gatwick, but I could imagine that if there were to be several flights arriving, there could be a large number of people waiting to be processed. Processing was quick and friendly, but only two booths were staffed. I don't know the reasons behind this, but it would be good to hear back from other travellers if more booths are staffed at peak arrival periods. The best news was that my luggage was already arriving in the baggage hall once I emerged from immigration! I appreciate that we have been spoiled in the past using BSL with little queuing and generous staffing levels. But the world moves on, and not always as we would wish. These controls are necessary for processing non-Schengen flights and I suspect that they will be even more justified if (or when) Brexit happens. Expect a wait time for processing as in many other airports and be patient. And if you just happen to get a speedy passage, count it as a bonus!